I always enjoy going out and photographing Samantha's sessions. I love her excitement and energy. She is always smiling. The morning had started out gloomy, and it even rained a little bit. But, come time to shoot the sky was blue and there were beautiful fluffy clouds in the sky. 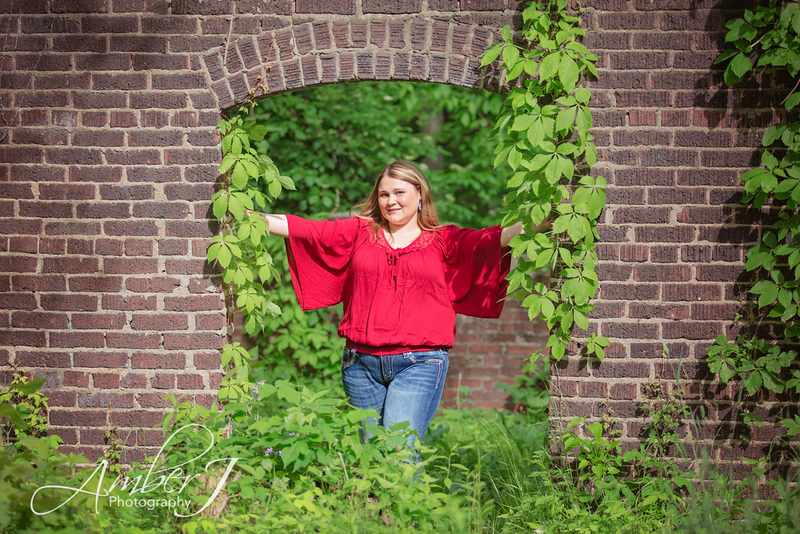 Samantha even made a remark about how the weather always seemed just perfect on the days of her sessions. 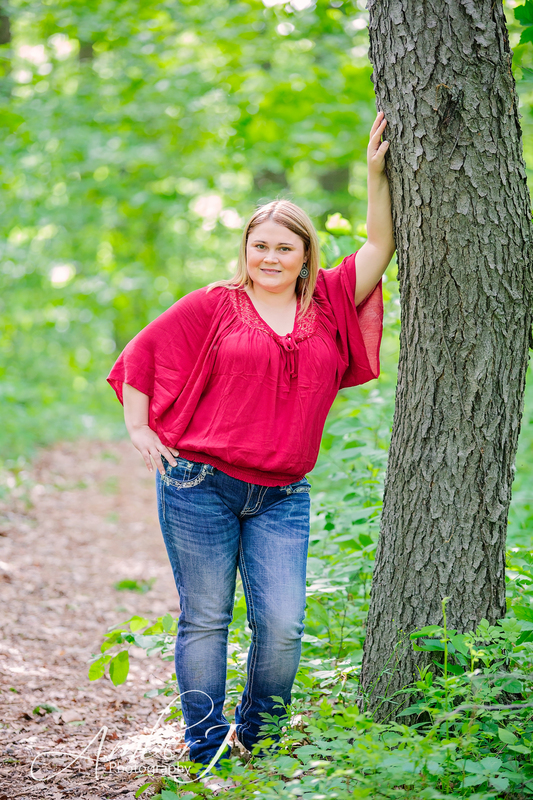 For this shoot, Samantha told me she wanted that country/woodsy feel so we headed out to Lincoln Brick park. Since it is outside the city and there is a great dirt road that you drive down to get there I thought it would be the perfect destination. When we arrived we headed right for the old brick factory ruins. Its a great place to start. There are several locations that I love to shoot at. On our way in to the park we spotted a beautiful open field with some purple Perennial Lupine flowers so we made that our second stop. After leaving the park we stopped in the road for a couple quick shots. Fortunately we were able to do this, as the road we were on is not a busy road at all. We headed to the Ledges to get a couple of shots by the river. Samantha was fantastic as she expertly navigated the rough terrain in her wedge sandals. For our final stop, we headed to the river behind the Grand Ledge Opera House. 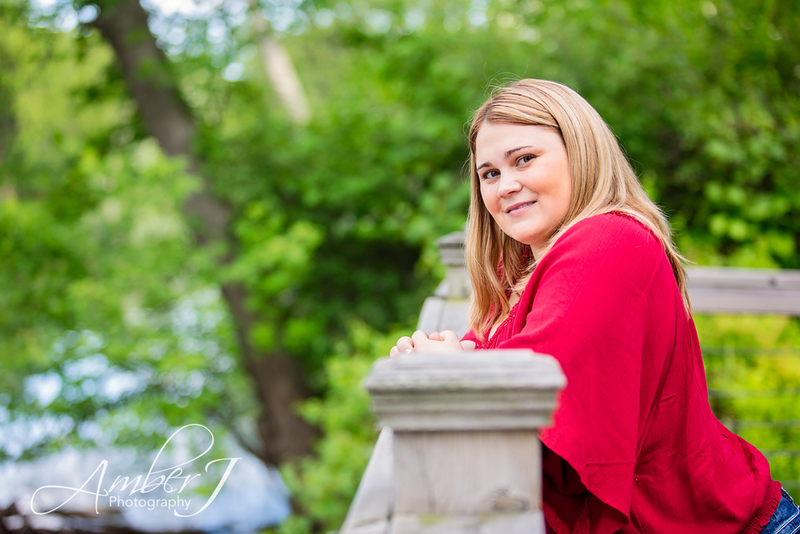 It is always a beautiful location for portraits, as there is a ledge you can sit on where the river provides a stunning background. There is also a wooden walkway along the river that has gorgeous greenery all along it. All too soon the shoot was over and it was time to head home. We are already looking forward to our next session with Samantha.